I wanted to try out Matcha because of all the wonderful things I heard about it. 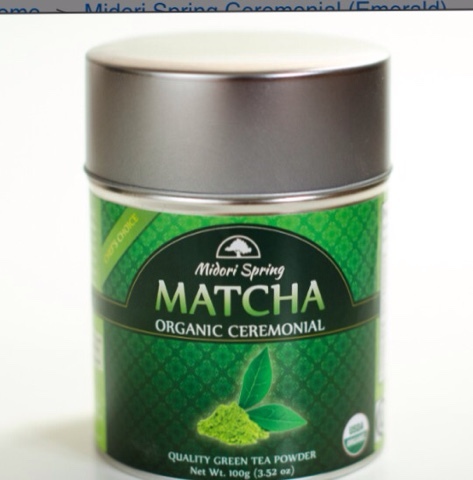 Matcha is basically ground up green tea leaves. It is an acquired taste, let me tell you. The first time I tried it I was like, "Ugh, this is nasty". Kind of like how you feel after the first time you try coffee. So I tried it again but with more sugar to hide some of the bitterness and found it a little more pleasant. It's the kind of thing that has to be mixed in with other stuff or you will not want to drink it. The Japanese have a whole tea ceremony for this but I don't think I could just drink it alone. There are many recipes that you can out the matcha into, like smoothies, etc. It's much better that way. Matcha is a good thing because it's loaded with antioxidants and polyphenols that lend themselves to fighting off cancer.